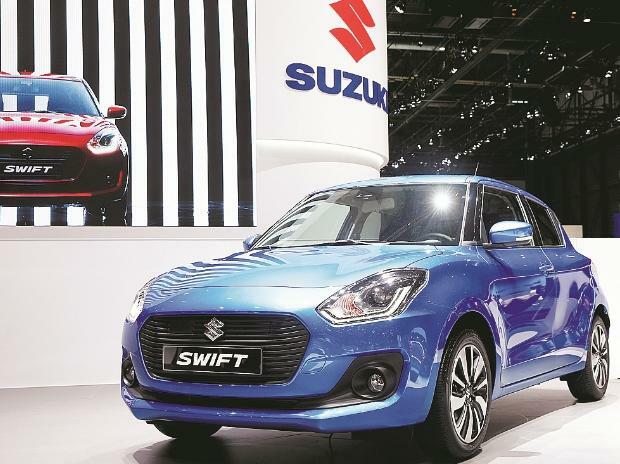 Maruti Suzuki is not just the country’s biggest carmaker with a 50 per cent market share, it also makes higher profit on each car than the industry peers, including its nearest rival and Korean automobile giant Hyundai. Carmakers do not share the profit they earn per car though they declare the total company profit earned in a year. This profit includes money made on sales of spare parts though it is a small part compared to vehicle sales. A back-of-the-envelope calculation, however, can give an idea of the profit these manufacturers make per vehicle by simply spreading the total profit over the number of cars sold to arrive at an average number. It is true that the profit on different cars would be different. The smaller ones, for instance, will yield lower profits. Let us take the case of Maruti Suzuki, which sells every second car in the world’s fifth-biggest market, India. The Suzuki-promoted company made a record profit of Rs 77.21 billion in the year ended March 31, when it sold a record 1,779,574 vehicles, a fraction of these were the newly-launched light commercial vehicles. A simple calculation shows the company might have earned as much as Rs 43,386 on an average per unit. This is an impressive profit, considering the average per unit realisation of Rs 397,000 for the year, announced by the company in April. Hyundai is not a listed company in India and its financial results are shared with the registrar of companies with a time lag. Information with the Korean parent, however, shows that it made approximately Rs 22 billion in profits in the year ended December 31, 2017. In the same year, it sold a record 678,221 cars. The annual profit translates into a per unit share of Rs 32,437. A comparison of per unit profit of Maruti Suzuki and Hyundai shows the former makes around 33 per cent higher gains to its Korean peer. While Maruti Suzuki is miles ahead in volume to Hyundai, which has a market share of about 16 per cent, the product portfolio of the two players are not very different. Both thrive on a strong hatchback and SUV product line up. The edge that Maruti Suzuki enjoys over Hyundai and other rivals primarily derives from its gigantic scale. “Look at the scale of Maruti Suzuki. The second-biggest player in the market sells less than half of what the biggest player does. The sheer volume gives Maruti Suzuki enhanced economies of scale and the capacity to bargain with component supplies. Moreover, it has a high cash and cash equivalent reserve of around Rs 300 billion that gives it an additional income,” said an analyst. Hyundai may be able to derive a further cost advantage once its sister brand Kia begins operations in India next year. While Maruti Suzuki and Hyundai primarily derive volume from cars where average realisation would be around Rs 400,000 per unit, a higher realisation per unit does not necessarily lead to more profit per vehicle. Even Toyota, which gets a bulk of volume from bigger and pricier cars such as Innova and Fortuner, makes a lower average profit of Rs 35,295, based on Toyota’s India profit of Rs 5.51 billion in 2016-17, which is higher to Hyundai but is lower to the market leader.